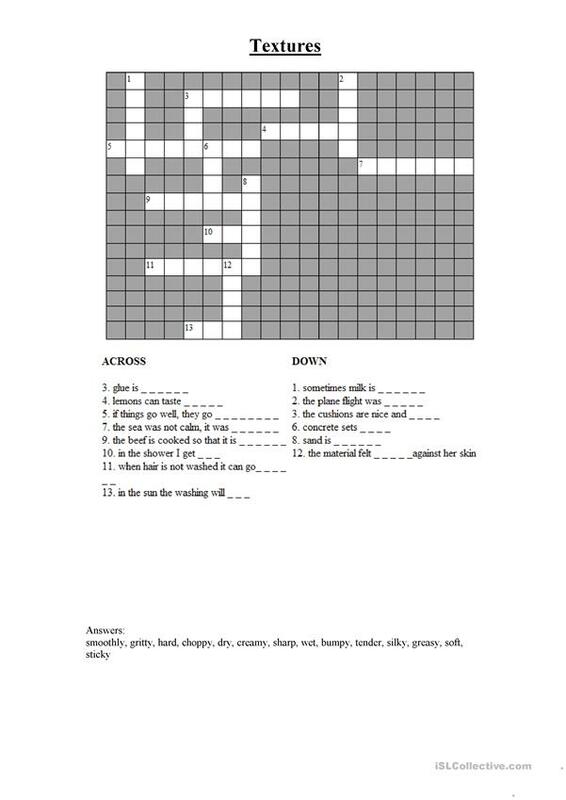 A simple crossword to consolidate new vocabulary, perhaps following a story of a day at the beach. This downloadable teaching material is best suited for high school students, elementary school students and adults at Beginner (pre-A1), Elementary (A1) and Pre-intermediate (A2) level. It is great for revising Adjectives in English, and was designed for working on your class' Reading skills. nome83 is from/lives in United Kingdom and has been a member of iSLCollective since 2011-02-13 16:51:12. nome83 last logged in on 2011-02-13 16:51:12, and has shared 1 resources on iSLCollective so far.